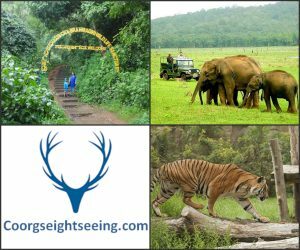 Your travel will start in the morning from your pick up point from City (Hotel / Airport / Railway Station / Residence) and drive to Nagarhole National Park.which is one of the most well-known national parks of the southern region of India. En-route one can visit Srirangapatnam, famous for the Tipu Sultan’s former capital. Srirangapatnam is a picturesque island in the Cauvery River. it is about 5 km long and 2 km wide. Further continue drive to Nagarhole. On arrival, check in at the wildlife resort. Evening enjoy the pleasant surroundings. Overnight stay at resort. day 2 morning ypu will wake up to the singing sound of the birds and get ready for the first Jungle Safari to spot the wildlife. The best time to enjoy a jungle safari in the park is at morning time when the atmosphere remain pleasant and chances of spotting animals are the maximum. Later return to the resort for fresh-n-up and breakfast.one can participate in the various house activities. After lunch we will again get ready for wildlife exploration inside the Nagarhole forest.Enjoy an elephant or a jeep safari inside the park in the afternoon till the evening. Overnight stay at the jungle resort in Nagarhole. Later in the evening return to the resort. Dinner and overnight stay at resort. Nagarhole is the largest stretch of protected forest in India, the forest is full various special and valuable trees like rosewood, sandal, Oak, bamboo & teak. 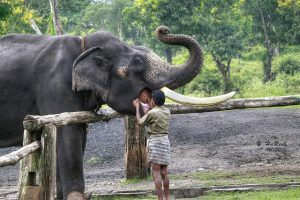 The park will make rich the beauty of wildlife including Tigers, Leopards, Wild Dogs and Sloth Bears, Elephants, Sambars, Barking deer, Mouse deer, Langurs, Giant squirrels and a host of bird species are sighted very frequently by the asphalted and paved roads.